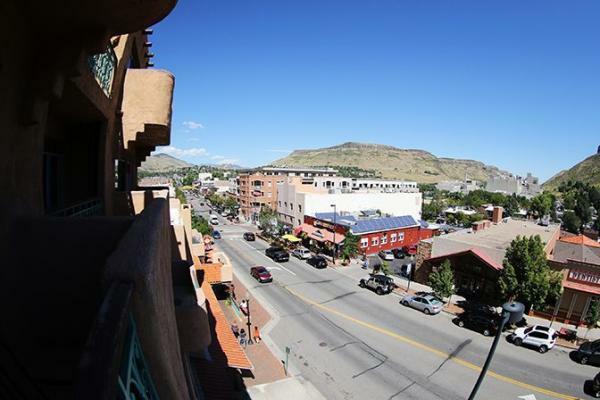 We&apos;re glad you&apos;ve come to visit us in Downtown Golden! 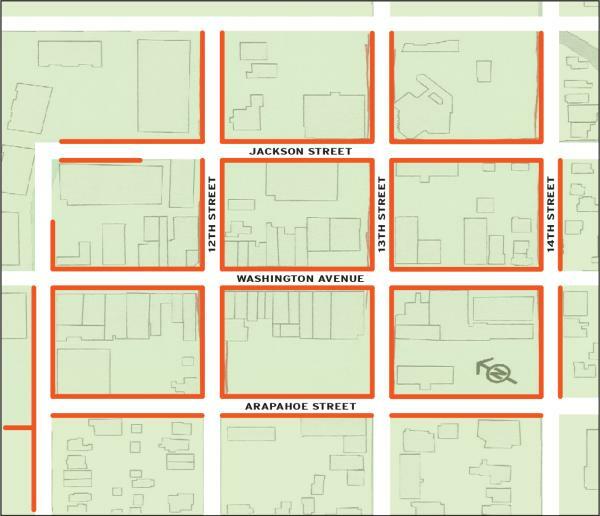 If you are shopping, dining or just enjoying a stroll downtown, we offer first 2-hour free parking in the orange zone area outlined on this page. Free for the first 2 hours parking is available In our downtown parking lots and garages after registering your license plates. Register your vehicle at the pay station or by using the Parkmobile app, even if you are staying less than 2 hours. If you are coming for a special event, or find yourself parking outside the downtown area, please be aware that the surrounding neighborhoods have resident permit parking. Read signs and carefully choose your parking spot. TIP: The parking garages typically have plenty of open parking spots and are only one block rast of Washington Avenue. Head there if you don’t see any available street parking. DOWNLOAD THE PARKMOBILE APP TO PAY FOR PARKING ON-THE-GO! FREE TWO HOUR PARKING: 7 A.M. – 5 P.M. Parking in the Orange zones indicated on the map is available only for 2 hours. You may not park longer than 2 hours in these areas. Two hour parking is in effect in these areas 7 days/week. If you plan to stay longer than two hours between 7 a.m. and 5 p.m., there are convenient parking garages and parking lots close to downtown indicated in Blue on the map. 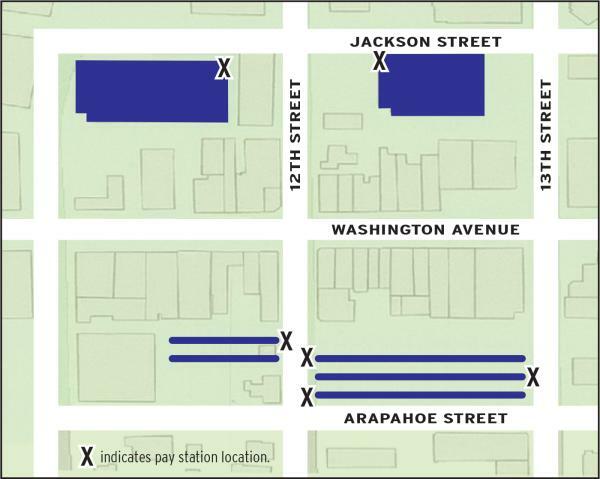 X indicates the location of parking pay stations. ** Holidays when parking is free in the blue zone include: New Years Day, MLK Day, Memorial Day, 4th of July, Labor Day, Thanksgiving Day and Christmas Day. The map indicates designated accessible parking for our visitors who may need to park in close proximity to downtown. Additional designated spaces are located within both parking garages.